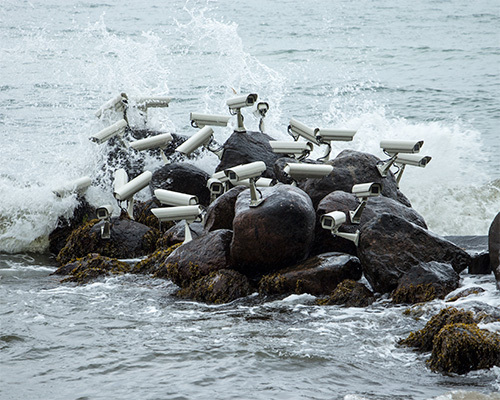 A Prague based artist by the name of Jakub Geltner has been working on a series of installations for the past few years that flips the viewpoint of standard surveillance equipment. The project known as “nest” utilizes surveillance equipment such as video cameras and satellite dishes, and positions them in unique places in congested flocks. 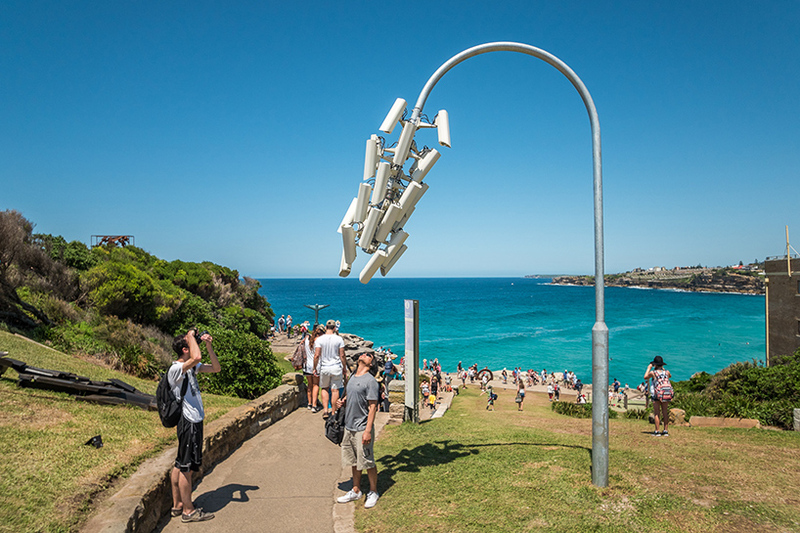 The unique places include but are not limited to beaches, elementary schools, buildings, and bridges where the amalgamations of up to twenty or so cameras or satellites are placed within extremely close proximity to each other; pointing every which direction. Surveillance by governments, corporations, and even other institutions is becoming an epidemic around the world. This is Geltner’s way at reminding the world that in a sense, humans are never out of the line of sight; we continually are being watched even when we do not notice. The high saturation of cameras and satellites mimic the spreading of an infection or rash, while also bringing these technological objects that are usually meant to have no heed brought to them into being palpable by the public. Geltner brings up the point that these surveillance technologies that are being incorporated in almost every place of human interactivity are more of a hindrance than a helping in the world; possibly something that invades not only on the privacy of individuals, but invades on basic human rights and wellbeing. Even if you are in a private space such as your home, there are multiple devices and technologies that very much might be listening in on you conversations, tracking your internet searches, and distributing your metadata amongst various companies to hone in products that fit to your needs.